Read this clever post HERE. Read the short, funny article HERE. Huge collection of weird, nonsensical signs from all over the world. Click HERE. This site seems to be legitimate. It just feels wrong – click on the Adoption Pricing tab. WASHINGTON, April 8 (UPI) — The U.S. Food Safety and Inspection Service announced the recall of approximately 406,000 pounds of frozen cattle heads due to a health hazard. The FSIS said Elkhorn Valley Packing of Harper, Kan., is voluntarily recalling the frozen cattle heads because the animals’ tonsils were not completely removed, in violation of federal regulations. The products being recalled are various weight bulk boxes of the heads bearing package codes “91700” or “93700” that were sent to distributors and wholesalers nationwide. Consumers with questions can contact the company at 620-896-2300. 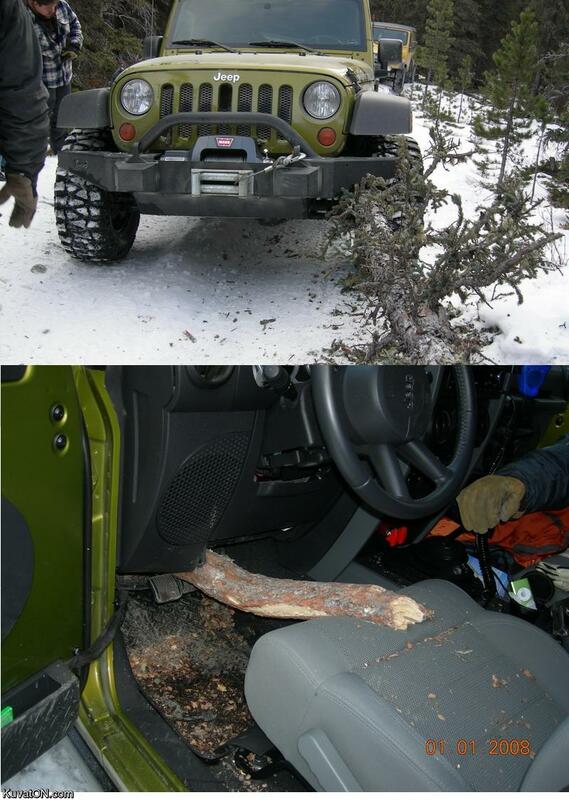 Check out the 2 pictures of some lucky person’s near miss with a tree limb. CNN has this video of the baby with 2 faces that was recently born in India.